We are pleased to announce that our best selling automated inkjet disc printer, the StorDigital DP50 CD Printer is now available as a 100 disc version. The StorDigital DP100 CD Printer features HP inkjet printing technology for colour rich fast prints at a low price. 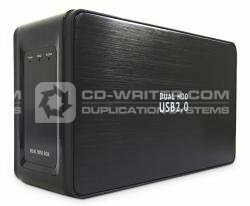 The DP100 requires a host PC for operation and ships with all the software you need to start creating your own CD and DVD labels. No other comparable printer is easier to use, or offers better results. 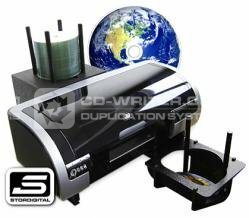 To find out more about the 100 disc capacity automated CD and DVD printer from StorDigital call us today on 020 8293 0777.